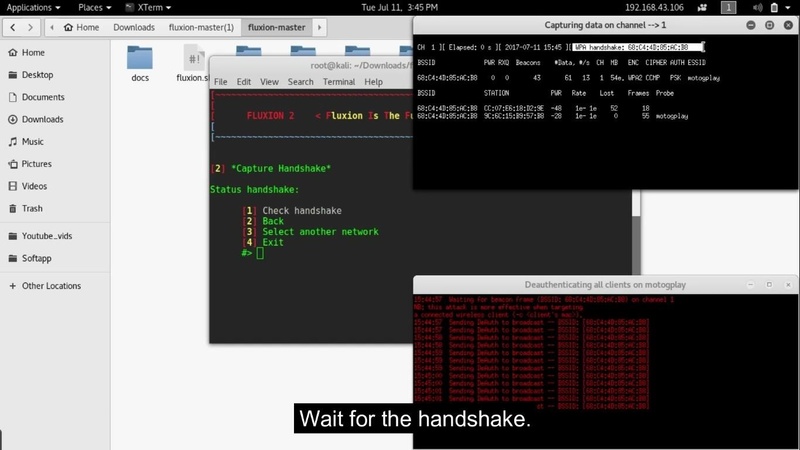 This is another tutorial in Cracking Wifi. 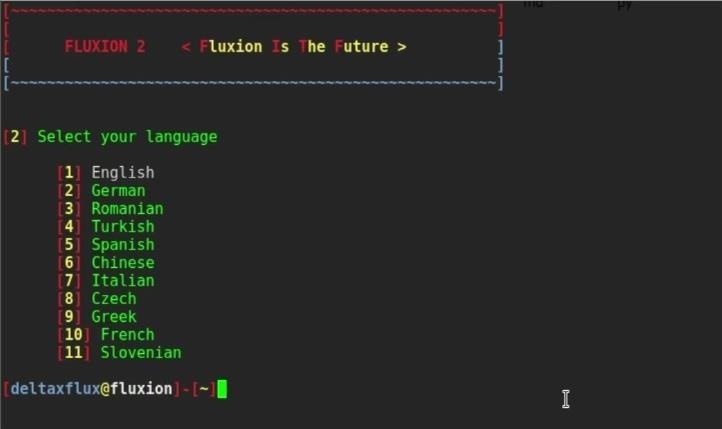 Today we are using another application named “FLUXION”.NOTE : This video is for EDUCATIONAL PURPOSE only.The main advantage of fluxion is that it doesn’t use any wordlist or perform bruteforce attack to break the key. 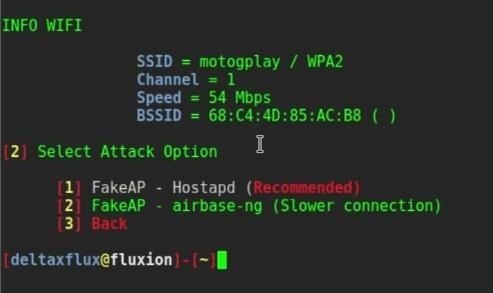 Fluxion creates a Open twin Ap of the target network. When someone tries to connect to that network a fake authentication page pops up asking for key. When user enters the key, fluxion captures that key and provides us. Step 1Download and Install Fluxion into Your System. After Downloading fluxion . Goto Downloads and extract Fluxion. If all required file are updated and installed then fluxion will run, otherwise a list of unavailable files will show. If any of the required file is missing then you have to install them. It will install all required files. Now you are ready to run Fluxion. 3- Select Channel. I prefer All channels. It will start scanning your nearby networks on all channels. Press CTRL + C to stop the search. 4- Enter ID of the channel you want to crack. 5- Select Attack option. 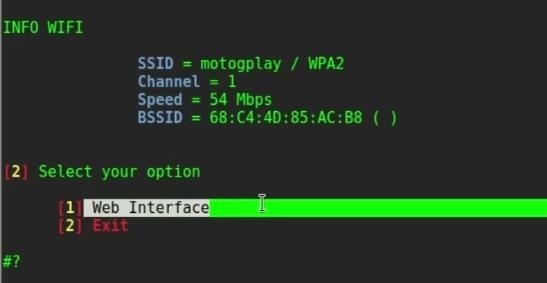 I prefer FakeAp – Hostpad. 6- Select Handshake check. I prefer pyrit. 7- Select Capture Handshake option. I prefer Deauth All. Now wait for the handshake. After handshake is captured close both windows. And in Status Handshake select Check handshake. 8- Now Select Create a ssl certification. Now wait for the user to connect to our open twin Ap and enter key for authentication. After a user is connected he/she has to enter the password. As soon as he/she enters the password we get it.